If you lead volunteer teams, setting them up for success for Sunday is so important. With Social Media, group text messaging, and E-Mail, it’s never been easier to quickly and effectively communicate with those who serve with us. As a Media Director at one of the largest churches in the country, I led a team of over 120 volunteers in the area of Media Production. 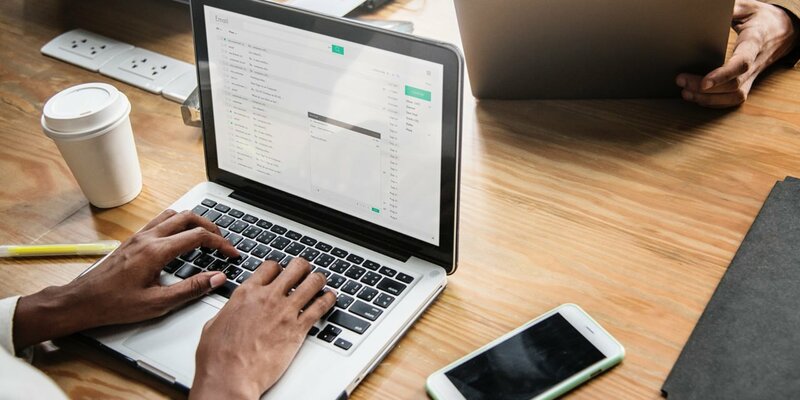 I used any method I could when interacting with my team members, but when I wanted everyone to get a bulk of information at once – a weekly E-Mail Newsletter seemed to be the most effective. I would also copy and paste my E-Mail as a Facebook post on our closed Facebook Group. In this article, I’m going to give you six things you can include in a weekly E-Mail to your team. I used these ideas in leading Media Production Teams, but you can adapt them to any volunteer team in your church. 1. Use an E-Mail service. I recommend MailChimp– it’s easy to use and free for the amount of e-mails you’ll most likely send. It also lets you track opens, clicks, and other stats to let you know who is reading and interacting with your e-mails and who isn’t. Don’t reinvent the wheel every time you write an e-mail to your team. Create templates for your weekly newsletter e-mail, or special occasion e-mails to promote team events or other special activities. 1. A Story of Life Change. You must keep “the why” of creating your experience above the tasks your team members perform each week. If they understand your vision – that you are creating experiences where people meet Jesus and grow in their relationship with Him – then they will feel like they are owners in the process just as much as you are. So, if your goal as a team is to see Life Change – through salvation and spiritual growth – why not share stories of people in your church who have been impacted by the experience your team is creating together? Talk with your pastors and staff to get a list of new salvations, or other great stories. 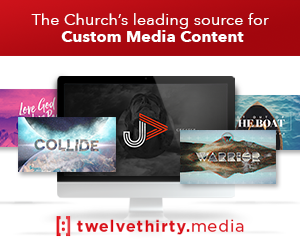 You’re church may already have a way of soliciting stories – tap into this resource and share these with your team. It will motivate and inspire. 2. Church Stats and Insider News. Sometimes we need to keep ministry conversations private. You’ll certainly lose confidence and respect if you share everything you hear. However, I believe, in church world, sometimes we can be too sensitive about volunteers knowing “insider information”. 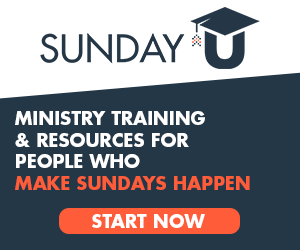 Where you can in your E-Mail Newsletter, share church stats and insider news – from staff changes to plans for new campuses, upcoming sermon series, creative ideas and more. Don’t be afraid to let your team in on some stats and news that a regular attendee might not know. They will feel like they are a part of owning and creating the process. They might also have a perspective on something your leaders are thinking about doing that your staff team might not have. Let them in when you can. Your E-Mail Newsletter should have a celebration element to it. 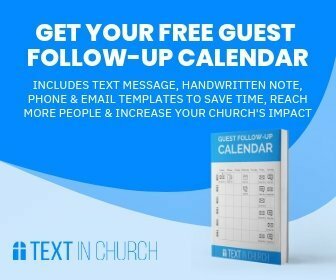 Celebrate salvation numbers, baptism numbers, birthdays, holidays, major life events within your team (Did a team member’s family just have a baby? Did Bob just get that promotion your team has been praying for?). Celebrate, celebrate, celebrate! Another idea here is to ‘Facebook stalk’ some of your team members – see if they have posted something that you know they wouldn’t mind if you shared with the whole team. Ask their permission to share or sometimes, you may try surprising them – you can discern the difference. Share needs in the life of your team members that the whole team could pray for. Do you have a team member that is moving to a new house? Struggling in a job situation? Dealing with a medical issue? Rally your team to pray for them. Try not to make this section fluffy or something that you would dismiss. Be genuine and share the need from your heart – make sure it’s not a routine list that everyone skims over. You can use your E-Mail Newsletter to share some highs and lows from your weekend experience. Don’t be afraid to not only praise your team for the things you saw that they did well, but offer some loving critique. People do want to know how they can improve. It’s better to offer little tweaks week-by-week than to unload your list of critiques in one rant. Take notes on Sundays of some things your team did well and things they need to up their game on. One note here – try to praise people by name, and critique as a group. Don’t call someone out for doing something poorly in your Newsletter, address individual issues, individually. And be gracious – if people know your heart that you want them to be better so that the experience will be better, they will be receptive. Routine evaluation and review after every event is valuable. Use your Newsletter to praise and evaluate your services. 6. Details on your Upcoming Sunday. In the area of Media Production, we used Planning Center Online to create our service flow. I would also type out the Service Flow in my Newsletter with specific notes on each element of the service. I would give a couple of sentences detailing each element. For example, for songs, I would note that it’s a very high tempo song and that we would want to use lots of quick cuts, with fast camera shots. I would note any special band or vocal solos for camera operators. I would talk through transitions so the whole team was aware of how we would move from one element to the next in the service. Giving them these notes during the week allowed them to live with the content some during the week like I was. If you serve another ministry of your church, consider giving details for each element or event during your weekend experience. These six ideas may get a little lengthy in one e-mail. You might also consider sending two separate e-mails during the week. One being a Team Update where you share stories, church stats, celebrations, and prayer needs. And the other e-mail could be your Sunday Prep E-Mail. You might also consider splitting these ideas up into shorter e-mails or even social media posts. The point here is to be intentional about communicating valuable information to your team. So many times we expect volunteers to walk in on Sunday and be just as versed and prepared as we are – it’s simply not true – if you are on staff at a church, you are spending all week preparing content and setting the table for Sunday. Your volunteers aren’t. Spend time during the week preparing them for Sunday. Set them up for success, and you’ll start seeing more ownership and excitement in your volunteers.